Glycopyrrolate tablets, USP contain the synthetic anticholinergic, glycopyrrolate. 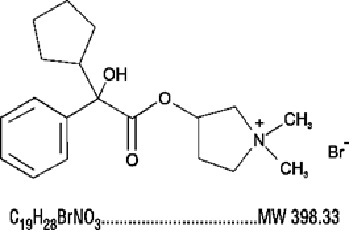 Glycopyrrolate is a quaternary ammonium compound with the following chemical name: 3-[(cyclopentylhydroxyphenylacetyl)oxy]-1, 1-dimethylpyrrolidinium bromide . Inactive Ingredients: dibasic calcium phosphate dihydrate, lactose monohydrate, magnesium Stearate, povidone, and sodium starch glycolate. 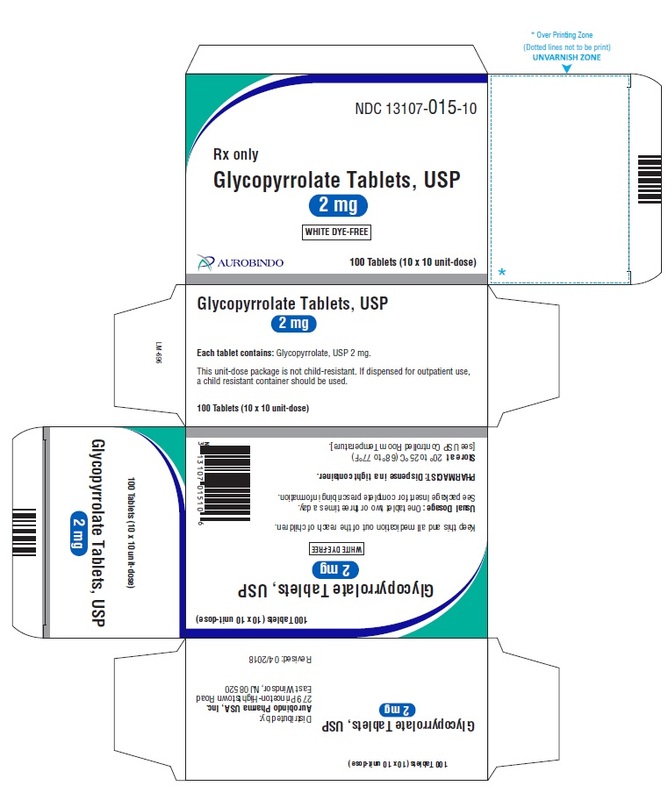 In the presence of a high environmental temperature, heatprostration (fever and heat stroke due to decreased sweating) can occur with use of glycopyrrolate tablets. Glycopyrrolate tablets 1 mg. The recommended initial dosage of glycopyrrolate tablets for adults is one tablet three times daily (in the morning, early afternoon, and at bedtime). Some patients may require two tablets at bedtime to assure overnight control of symptoms. For maintenance, a dosage of one tablet twice a day is frequently adequate. Glycopyrrolate tablets 2 mg. The recommended dosage of glycopyrrolate tablets for adults is one tablet two or three times daily at equally spaced intervals. Glycopyrrolate Tablets USP, 1 mg are white to off-white, round, beveled edge uncoated tablets, debossed with 'Y' and break line on one side and '08' on the other side. 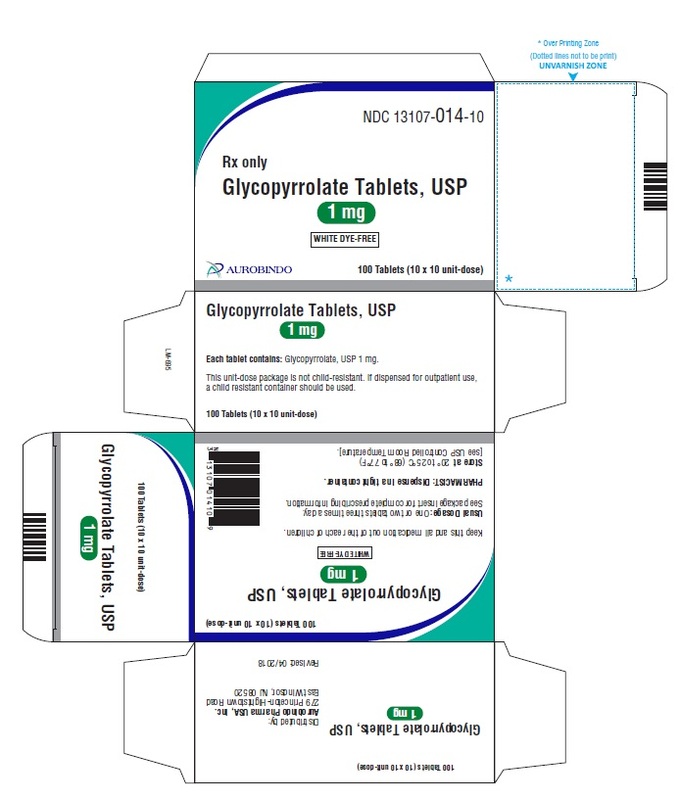 Glycopyrrolate Tablets USP, 2 mg are white to off-white, round, beveled edge uncoated tablets, debossed with 'Y' and break line on one side and '51' on the other side. 20° to 25°C (68° to 77°F). [See USP Controlled Room Temperature].